Having worked in Malawi, Africa as a volunteer over 6 years ago I was not only familiar with the Mobal name- I also knew of their charity promise. It somehow didn’t seem real. I was familiar with the 1% club of companies who gave to charity. In truth I even viewed those companies as generous. But giving away the majority of profits? That’s borderline madness. Or so I thought until I landed in Malawi. Or more specifically having worked at the Mobal-funded Beehive Centre for Social Enterprise in Malawi. There I learned that since 2006 a global team of Mobal workers had been quietly inspiring a quiet revolution- in Malawi. A revolution that affects the lives of thousands daily. If you visit Malawi you only have to step off the plane to buy into the idea that it merits its name- “The Warm Heart of Africa”. The people, the landscape, the weather- it’s all perfect. But nowhere is perfect too. 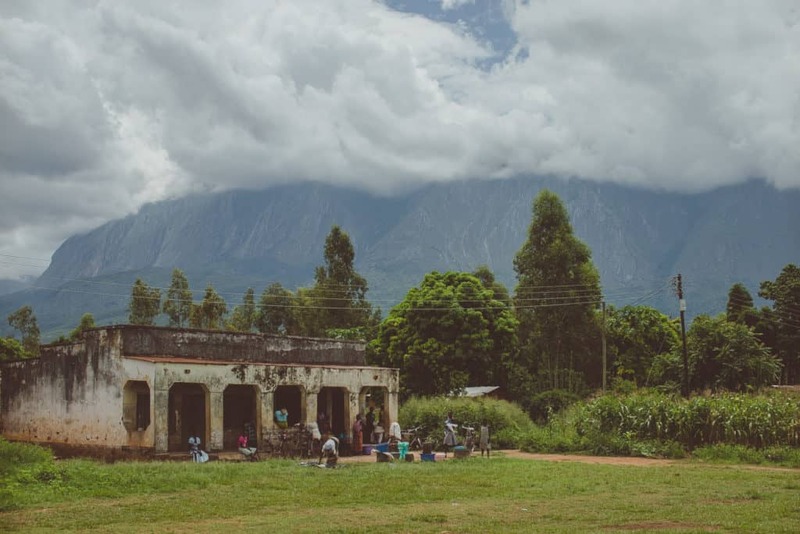 Malawi has its own problems- and they’re not first-world issues. Yet in the midst of this challenging environment there is much to be hopeful about. Malawi- the inverse of Japan- has a young, fast-growing population. People are enthusiastic to work- if only there was work. Mobal’s response to this was simple. They reasoned that if they can provide work for a global team of employees through business then why not apply the same principles in Malawi! The result? Profits raised from selling Mobal sims were used to build a social enterprise campus- the Beehive Centre of Social Enterprise. The objective- to create jobs & provide educational opportunities that lead to jobs. By the time I left Malawi in June 2015 the Beehive was providing direct employment for over 400 people with several thousand more getting an education in IT, Childcare or Tailoring annually. No accolades, no shouting. A quiet revolution. In 2015 Malawi experienced flooding to such an extent that almost a quarter of a million people were displaced. At the Beehive the immediate response involved re-building houses & fallen walls at local nurseries. We felt good to be able to help- until we received a report from our own Children’s Centre. The report was straight to the point. Having visited many families whose crops & livelihoods had been destroyed in the floods we now had hungry children in our community. Malnutrition was rife. The worst affected? The under-5’s. The smallest and the most vulnerable. When that report was delivered I was sitting in the Beehive meeting room with a group of local managers & international volunteers. 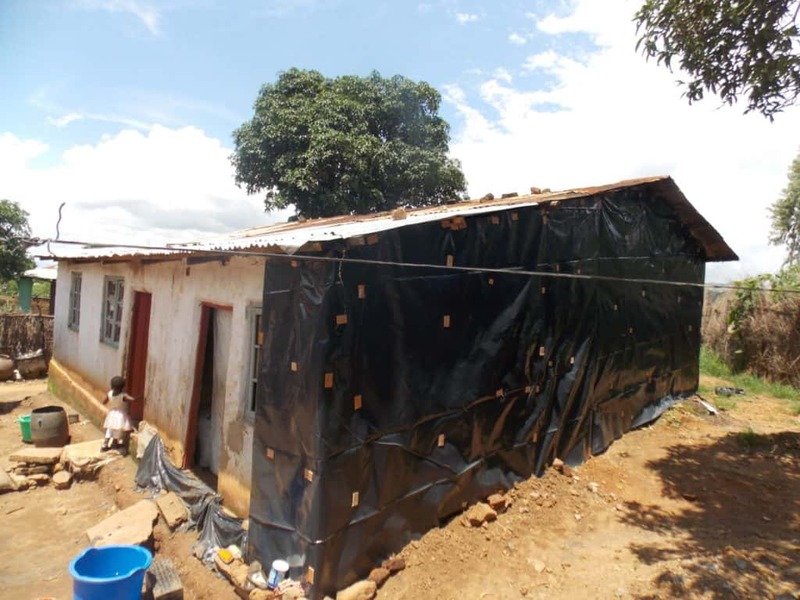 We knew that blocks & plastic sheeting were not going to be enough this time. Having first visited Japan over 20 years ago as an exchange student I was both excited & anxious when I arrived in Tokyo having not lived there for almost 15 years. It was September 2015- Peter at the Beehive and Tony Smith of Mobal had asked me to go back to Japan to set-up a fundraising charity. 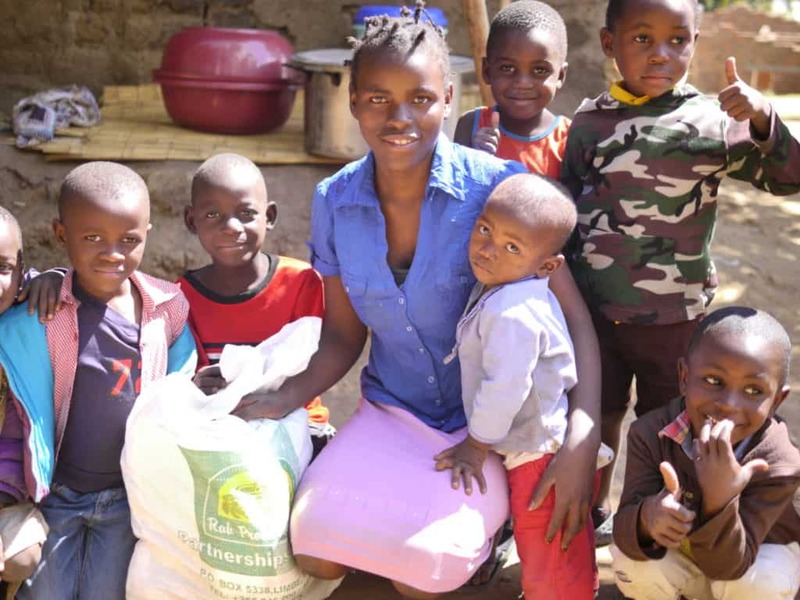 We would, they said, continue to feed the most vulnerable – the under-5’s- but we would go beyond our community and feed all hungry children in Malawi. From Japan. I’ve always been fascinated by Japan. It still excites me and frustrates me in equal measure. Vulnerable groups don’t fare so well in Japan- attitudes towards refugees, immigrants & homeless people are well-documented. The plight of single mothers and the growing issue of child poverty in Japan is worsening. Japan’s ranking in the world’s global generosity rankings is abysmal- 128th in the world in 2018 according to the World Giving Index. Japan is not a true global player despite its economic success and status. Japan’s somewhat indifferent relationship to the outside world is perhaps by choice or inclination or due to a lack of knowing what to do- a certain lack of confidence outside its own shores. That’s what makes it such a unique country to live in- at times exciting, at times frustrating. And for a start-up charity probably one of the last places on earth to begin. So why Japan? It’s a question that gets asked a lot. Uniquely in the world Japan has been an aid recipient in recent years. Like most of Japan’s recent past this isn’t openly discussed. US Senator George McGovern wrote in 1964 that school lunches provided through donations to Japan “added inches & pounds to the average Japanese youth”. In other words the generation that created the Japanese economic miracle were fed through the lean years through the kindness of others. Japan is in a unique position to show compassion for others by making a similar gesture. Back at the Beehive in Malawi, Peter Nkata reminded me that in his capacity as Chair of the local Rotary Club he had also fund-raised for Japan in their hour of need in 2011. Peter was confident the people of Japan would reciprocate in Malawi’s hour of need. And that might well happen. There are green shoots. Japan’s government-sponsored aid programme JICA has to date sent over 1,700 volunteers to Malawi. But those same green shoots also tell a tale. Government aid needs to be replaced by people aid. Governments don’t have hearts & souls and while government aid is welcomed it’s not charity. It serves a purpose and whose purpose is hard to tell- in 2018 JICA & its co-partner the Ministry of Foreign Affairs scored “poor” & “very poor” in the Aid Transparency Index. It’s our hope that the Japanese people will one day play a larger part in this story. We’re still in Japan. We exist as a registered Japanese NPO- as a charity. We struggle with and benefit from what is known in Japan as the Galapagos Syndrome. The phrase was originally coined to wait for it…describe Japanese mobile phones that were more advanced than the rest of the world. So how does this syndrome affect our charity? The Japanese are some of the kindest people on the planet when you meet them and live with them. But few people are internationally-oriented or take interest in global issues. Asking for donations for kids in far-away Malawi doesn’t elicit a negative reaction. It simply lands flat. It’s not the done thing. So how do we benefit? Japan was once the world leader in mobile technology. For a newly-arrived foreigner however it’s just a horrendous mess of bureaucratic red-tape & convoluted contracts. Enter Mobal- they offer a simple product. A sim card for everyone with no contracts, no termination fees, no taxes- no hassle. Most importantly they have designated this product as a “Charity SIM”- in so-doing ensuring the future welfare of thousands of kids in Malawi. Earlier I spoke about the Mobal-inspired quiet revolution. For better or worse the charity message can actually get in the way of making vital sales that produce the revenue that provides the charity funding. If you’re reading this thinking- “I never knew!”- well- I’m not surprised. Yet in 2018 over 85% of Seibo Japan‘s funding came from Mobal’s charity funding. In turn they allowed us to send 100% of all donations received in Japan to Malawi. How is that possible? We sit in an office space provided by Mobal, our utilities paid by Mobal, our wages paid by Mobal. 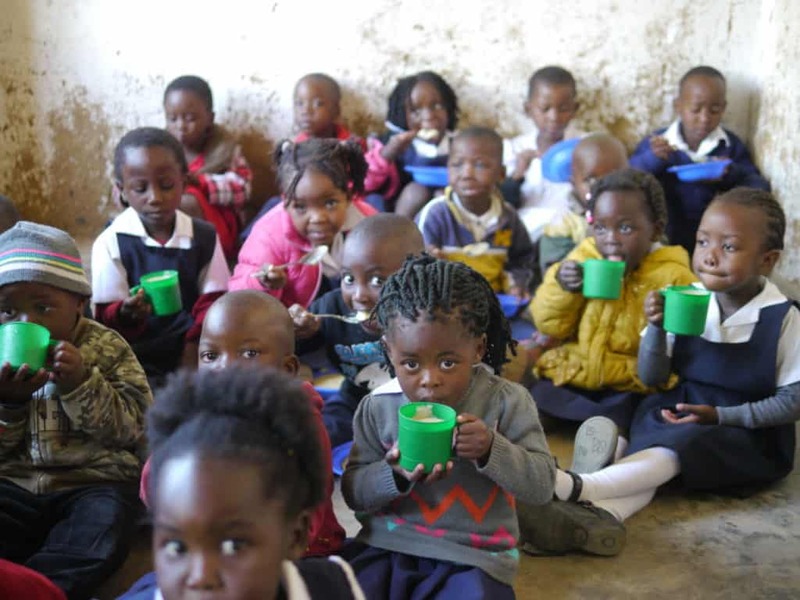 Nobody may ever read this far but 14,000 kids in Malawi receive a daily school meal not because we are wonderful charity workers (we’ve pretty much failed to date!) but because you are a Mobal SIM user.To you and to Mobal we & 14,000 + kids in Malawi say- Thank You! To read more on the work of Seibo in Malawi click here for recent posts on our website! « Make a Japanese Character Bento Box!